Adventist Church’s humanitarian arm steps up in the wake of cyclone devastation. The Adventist Development and Relief Agency (ADRA), the Seventh-day Adventist Church’s humanitarian arm in the South Pacific, is on the ground in Tonga responding to the widespread and urgent need caused by Tropical Cyclone Gita. The destructive storm hit the Pacific island nation on the night of February 19, 2018, flattening buildings and destroying arable lands. South Pacific Division emergency response coordinator Michael Peach has been assisting the Tongan Seventh-day Adventist Church in the massive clean-up effort. 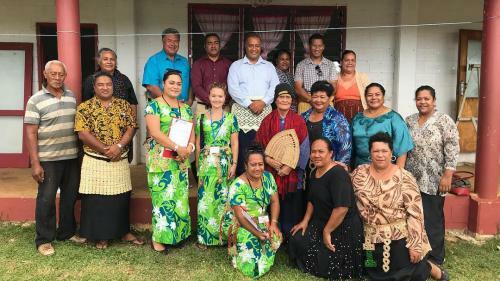 He has been working with the Tongan Government, church leaders and district pastors to assess the situation and help develop a response plan. Over the past three days, ADRA and the Adventist Church have delivered food parcels to 515 households on the islands of Tongatapu and ‘Eua. The government’s National Disability scheme identified these properties as housing extremely vulnerable people and their carers. 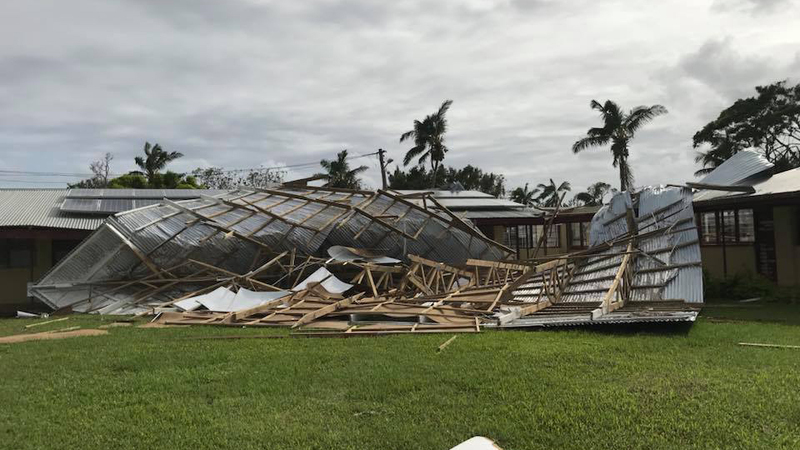 Further food parcels will be distributed today by the Adventist Church to families known by the pastors—families who are struggling as a result of the cyclone, or who have elderly or disabled family members not registered with the government. The Adventist Church has responded to the Tongan Government’s messages of resilience by identifying the development of 22 church-based community gardens. 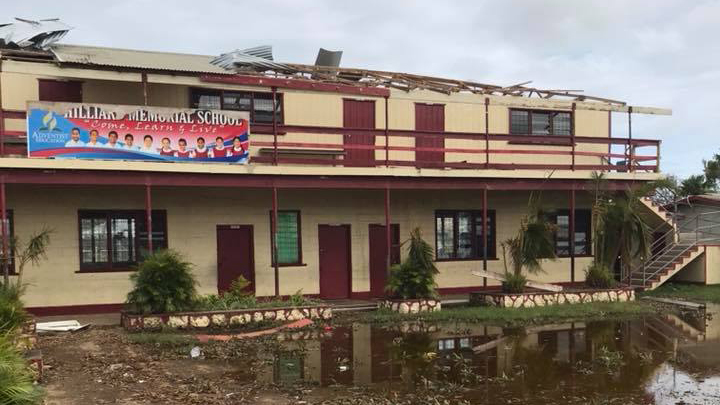 Adventist schools in Tonga resumed classes yesterday but all of them have lost their roofs. Tropical Cyclone Gita hit Tonga after causing widespread flooding and blackouts in Samoa. It is the strongest recorded storm to have struck Tonga, with winds of 125 miles (200 kilometers) per hour. About 79 percent of the population has been affected. One elderly person died, reportedly from shock, and 33 people were seriously injured. Power has now been restored to the majority of essential services in the capital, Nuku’alofa. Most homes, however, still have no power. Health officials are working to minimize the risk of an outbreak of disease, particularly dengue fever. Initial recovery costs are estimated at over 23 million Australian dollars (US $18 million). The storm caused extensive damages to several Seventh-day Adventist churches, schools, and member homes. 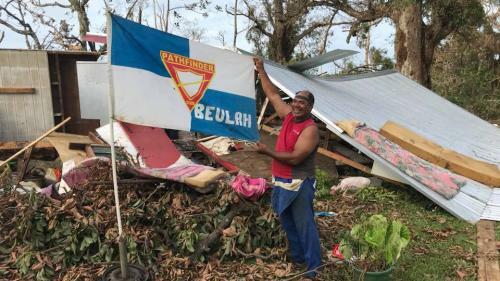 Despite the dire situation, however, ADRA South Pacific director Greg Young praised the Adventist response effort.